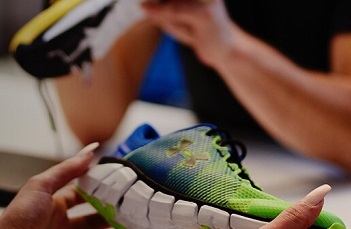 Supervisor, Operations at Under Armour, Inc. Responsible for the overall operation of the Manifest/Scan-pack areas. This includes, but is not limited to, the completion of all express orders on time for pick-up, the efficiency of the team mates, and the development of the floor leaders and team leaders present in the manifest and scan/pack areas. Carries out supervisory responsibilities in accordance with the organization's policies and applicable laws. Responsibilities may include interviewing, hiring, and training employees; planning, assigning and directing work; appraising performance; rewarding and disciplining employees; addressing complaints and resolving problems. Associate's degree (A. A.) or equivalent from two-year college or technical school; or three to five years of related experience and/or training in a distribution or warehouse environment; or equivalent combination of education and experience. At least 2 years of experience in supervising others is preferred. Experience in the apparel industry strongly preferred. Ability to travel as may be required. Skilled with database/spreadsheet programs, and specifically MS Office programs (MSWord, Excel, Outlook, etc.). Experience Manhattan WMi strongly preferred. Ability to write routine reports and correspondence. Ability to speak effectively before groups of customers or employees of organization. To perform this job successfully, an individual should have knowledge of Database software; Inventory software; Spreadsheet software and Word Processing software. While performing the duties of this Job, the employee is regularly required to use hands to finger, handle, or feel; reach with hands and arms and talk or hear. The employee is frequently required to stand and walk. The employee is occasionally required to sit. The employee may frequently lift and/or move up to 10 pounds and occasionally lift and/or move up to 25 pounds. Specific vision abilities required by this job include close vision, depth perception and ability to adjust focus. While performing the duties of this job, the employee will be in an environmentally controlled facility. The employee is regularly exposed to moving mechanical parts. The noise level in the work environment is usually moderate. 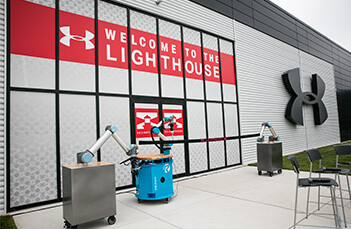 Distribution with Under Armour, Inc.